Great news. 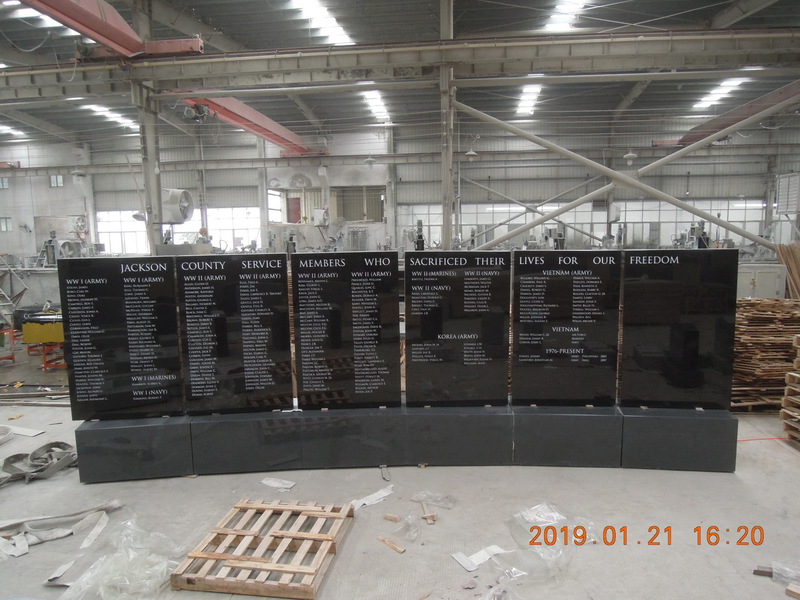 The 8′ high obelisk service and POW-MIA monuments AND the 7′ high Honor Wall are ready for shipment from overseas. Due about the end of March. These all go on Monument Circle. The monuments include 5 monuments for each branch of the armed forces plus a POW-MIA (Prisoner of War-Missing in Action) monument. 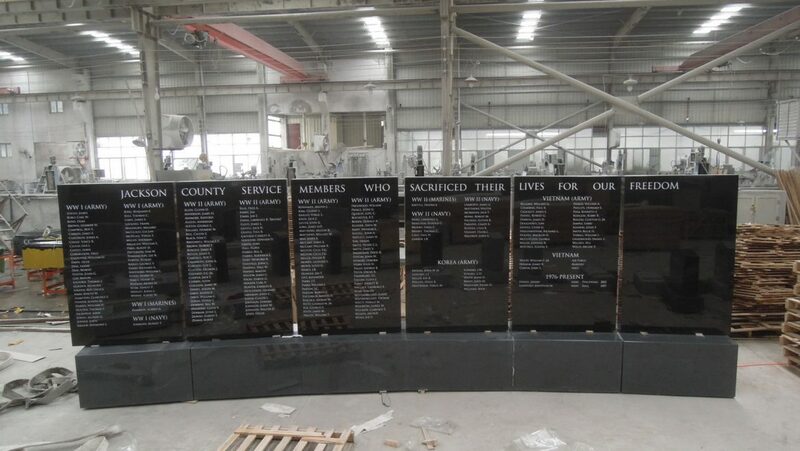 Also, the wall panels are the Honor Wall, including the names of Jackson County citizens who died in combat. 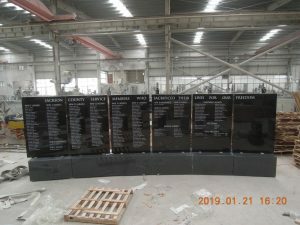 The expected delivery and installation should be complete in April.